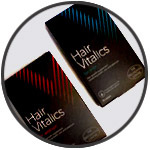 Anyone in London who takes the tube will no doubt have spotted some of Belgravia’s latest adverts in the carriages, both for our Hair Vitalics food supplements, and those featuring some of our hair loss treatment clients. As well as being part of a Success Story showing their results with photoscans from before and after starting their custom treatment courses, each of these clients – Darren, Jason, Scott and Sona – have also filmed short video testimonials. These allow them to speak openly about their individual experiences, from when they first started noticing hairloss and why they decided to try Belgravia, to how they felt the first time they visited the clinics and how they found using treatment. Below you can find the video testimonials for each client featured in this new advertising campaign, and you can also view them – along with many more – on our Video Testimonial page. Scroll down to browse them all, or click on an icon to view that client’s video with a link to their Success Story and review. 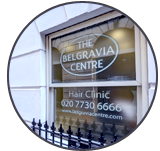 The Belgravia Centre website features the largest collection of Hair Loss Treatment Success Stories around. However, despite these compelling visuals of clients before and after starting their custom courses and accompanying reviews, there’s nothing quite like hearing the facts ‘straight from the horse’s mouth’, so to speak. This is why Belgravia is expanding its collection of video testimonials, featuring clients with various forms of hair loss talking openly about their experiences. In addition to Belgravia’s YouTube channel, you can now find these on our website on a page dedicated specifically to our latest Hair Loss Treatment testimonial videos. This will be updated frequently as more clients – including many who have appeared in our London Transport advertising campaigns – share their unique stories with us. You can browse the collection or jump straight to videos featuring clients with, for example, Male Pattern Baldness or Female Pattern Hair Loss, as well as choosing whose videos you would like to watch by clicking on the individual’s icon. In these videos, they discuss issues such as when they first started noticing their hairloss, why they decided to do something about it and how they have found using their bespoke treatment courses. Most crucially, they talk frankly about how they have found their Belgravia experience and their hair regrowth results since starting treatment. We hope you find them helpful and if you’re an existing Belgravia Centre client and would like to film a testimonial at our City of London hair loss clinic, please do let your Treatment Advisor know! To coincide with the launch of Belgravia’s new advertising campaign featuring four of our hair loss treatment clients, we have uploaded accompanying video testimonials from each of them to our YouTube channel. In these videos posted below, you can find out what each person thinks of their Belgravia experience to date, including why they chose to seek professional hair loss help in the first place. You can scroll down to see short edits and the full length video testimonials from each of our featured clients, or click on the icons below to jump straight to their specific videos. View Joe’s Success Story to see his regrowth results close up. Please note that results may vary and are not guaranteed. View Rohit’s Success Story to see his regrowth results close up. Please note that results may vary and are not guaranteed. 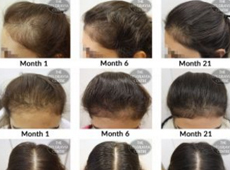 View Zahra’s Success Story to see her regrowth results up close. Please note that results may vary and are not guaranteed. 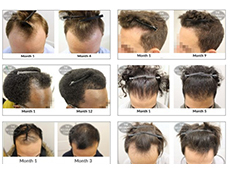 View Tolesa’s Success Story to see his regrowth results close up. Please note that results may vary and are not guaranteed. These men all have one thing in common… If their stories sound familiar and you too are interested in treating or preventing male pattern baldness, you can follow in the footsteps of thousands of satisfied clients by arranging your free consultation today. A dedicated specialist can provide a diagnosis, advice and personalised recommendations for hair loss treatments tailored specifically to your needs, all you need to do is pop by one of Belgravia’s Central London hair loss clinics. Alternatively, if you are based outside London or abroad, simply complete a quick and easy online consultation which also allows you to upload photos. Don’t forget to leave us a comment below to tell us what you think of the new advert, too! Please view our new set of success stories, recorded by a number of happy treatment users with various hair loss conditions. 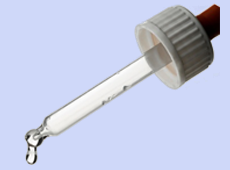 All have experienced superb results from the use of their individually prescribed treatment programmes for hair loss. Meet Zsanett – before visiting Belgravia she had been experiencing hair loss for many years. She began a treatment programme for female hair loss around 9 months ago and we have been recording video diaries to monitor her response. Please take a minute to watch the three videos presented below. The first features Zsanett discussing her hair loss before she began using treatment and the second takes place 7 months into her treatment course. The final video is a direct comparison between her hair at day 1, month 3 and month 7. 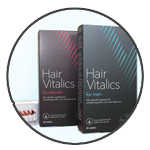 Zsanett uses a treatment course based around Belgravia’s formulation of minoxidil 5% + MPG, as well as Belgravia’s Hair Vitalics healthy hair supplement and the HairMax LaserComb. She also uses Belgravia’s specially formulated shampoo and conditioner and visits on a quarterly basis for clinical treatment sessions at the centre. Here are Zsanett’s photo-scans from month 1 and month 7. Underneath you will find her videos. As you can see her hair is dyed a different colour in each photo but I think the regrowth is clear to see. Postpartum Alopecia occurs in women two to four months after giving birth and is caused by more hairs than usual remaining in the growth phase. The normal growth process for each hair consists of 3 phases – the growth phase (2 – 8 years), resting phase (about 3 months) and shedding phase. The hormonal changes that occur in a woman during pregnancy cause an increase in the amount of time her hair remains in the growth phase which results in her hair appearing thicker. The average number of hairs that a normal person loses is 100 per day but this hormonal reaction causes pregnant women to lose as little as 50 or less. 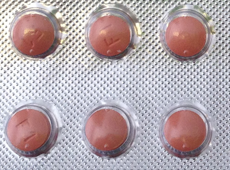 After pregnancy the temporarily retained hair sheds which can be worrying for the sufferer, but it is only the excess hair that is falling out and once the shedding has passed the hair will usually return to its original density as it was before pregnancy within 6 months. Treatment is not usually necessary but failure of the hair to recover six months after pregnancy indicates other possible causes. Stress, a change in lifestyle and strain on the body are other factors that can perpetuate the problem of otherwise temporary hair loss following childbirth. 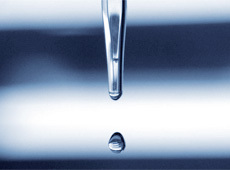 Such factors can cause a more longstanding condition called Diffuse Thinning. Repeated incidences of hair loss after pregnancy can result in less hair growing back each time also giving rise to Diffuse Thinning. In order to avoid this type of hair loss it is very useful to consider using suitable treatments at each bout of hair loss. This approach helps to minimise the damage that each episode can cause and ensure hair is recovered to its optimum potential. Trinity Gardiner experienced visible hair loss following the birth of her second child. The Belgravia Centre filmed video Diaries to document and monitor her hair loss and progress with treatment. Here are her videos – the first two feature Trinity discussing her hair loss and presenting the thinning areas before and after having used a Belgravia treatment course, and the other is a direct comparison between her hair at day one of treatment and month 3. Trinity is a member of Belgravia’s treatment advisor team. We recorded video diaries for the first 6 months’ of a patient’s hair loss treatment programme. Like many of our patients, Diya has experienced amazing results. Here we have compiled the best of Diya’s video diaries his direct hair growth video comparisons from day 88 and day 191, compared to his first day of treatment. Please be sure to check through all the videos – we believe these to be the best hair growth results ever captured on video. Don’t forget to subscribe to our YouTube channel if you have an account. We have lots of success stories and information videos up there and subscribing will ensure you are kept up-to-date with any future videos that are added to the channel. Here’s our channel – Belgravia Centre YouTube Channel. See Diya’s newest videos below, but please read this information first. 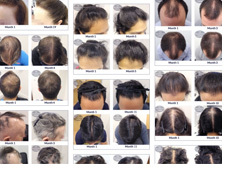 Diya has now been using a Belgravia Centre hair loss treatment course for 6 months. Here you will find his 6 month review and a direct comparison of his hair at month one and month 6. We received a comment when we published Diya’s first hair growth comparison (month 1 compared to month 3) – somebody said that the comparison would have been fairer and easier to compare had his hair have been a little shorter in the second video, to match the length of his hair in the first. We took note of this and made sure that his hair was cut very short for the most recent video. On doing this it has lead us to believe that Diya’s hair was in fact no longer in the 3 month video, but the hair is so much thicker that it gave this impression. If you go back to the 3 month comparison and observe the length at the sides of his head you will be able to see this for yourself. With this in mind we have invited Diya back for another comparison next week so that we can match the length exactly to the first video again. So be sure to check back. The great news is that even with Diya’s hair much shorter than it was in month 1, you can still see the significant improvement that his treatment course has made. Take particular notice of the areas where Diya’s hair was thinner at day 1 on his crown and temples (top and front) – I think we can safely say he has made a full recovery! SEE DIYA’S MONTH 1 AND MONTH 3 VIDEOS HERE. You can also see all our videos on the BELGRAVIA CENTRE YOUTUBE CHANNEL. We’ve got some very exciting ideas for future videos, including many more diaries, so please subscribe to the channel so that we can keep you up-to-date. You can also see these and all our other videos in high quality or HD on YouTube.